Make your stay in Holsworthy a comfy, cosy one. While Airbnb, hostels, or chain hotels might be the latest and popular trend, you’ll never beat the authentic, unique quality of a good bed and breakfast. Bed and breakfasts are a special cultural aspect of the UK and are renowned for their cosy atmosphere and personal touch. At The Bickford Arms, we thrive on a sense of community and host not only bed and breakfast guests but a wealth of people for private functions as well as quick stops for a bite to eat and place to rest. Combining the warmth and familiarity of your own living room, with the luxury of good service and the best quality food, we are more than just a place to rest your head as part of your stay in Holsworthy. Functioning as a pub during the day, you can get acquainted with the locals and indulge yourself in the atmosphere while you take a break and have a drink. If your stay with us coincides with a weekend, take advantage of the Sunday carvery, where you can truly enjoy the delicious, hearty food on offer for a traditional Sunday roast dinner. Wanting to check out the local area and what it has to offer? 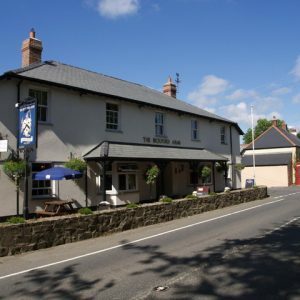 The Bickford Arms is in a prime location, just a short drive from Dartmoor as well as a handful of beaches in North Cornwall and North Devon. Ask a friendly member of staff for recommendations during your stay, who will be more than happy to point you in the right direction.